William Morrow Paperbacks, 9780061231537, 304pp. On New York's Long Island, in the unpredictable decade of the 1960s, a young boy spends much of his free time in the basement of his family's modest home, where he and his brother, Jim, have created Botch Town, a detailed cardboard replica of their community, complete with figurines representing friends and neighbors. Their little sister, Mary, smokes cigarettes, speaks in other voices, inhabits alternate personas . . . and, unbeknownst to her siblings, moves around the inanimate clay residents. 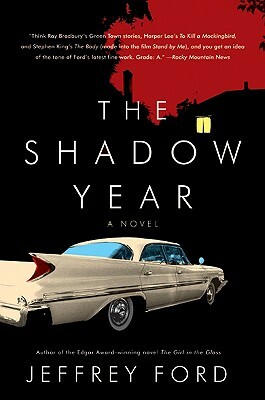 There is a strangeness in the air as disappearances, deaths, spectral sightings, and the arrival of a sinister man in a long white car mark this unforgettable shadow year. But strangest of all is the inescapable fact that all these troubling occurrences directly cor-respond to the changes little Mary has made to the miniature town in their basement.